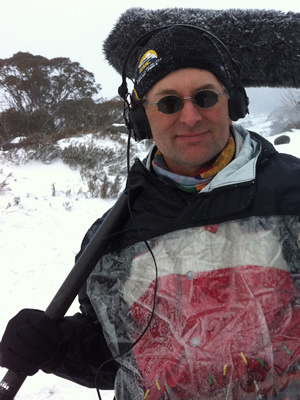 I’ve been working in television for almost 20 years, most of which has been sound recording. Seven years were spent at Network TEN working on docos, childrens’ tv and a couple of years shooting news. I work best as a member of a small crew and I’m just as happy to set up lights and Cam Assist when I’m not swinging the boom. Work has sent me to every corner of this country and a dozen other countries and I’m most at home on the road.